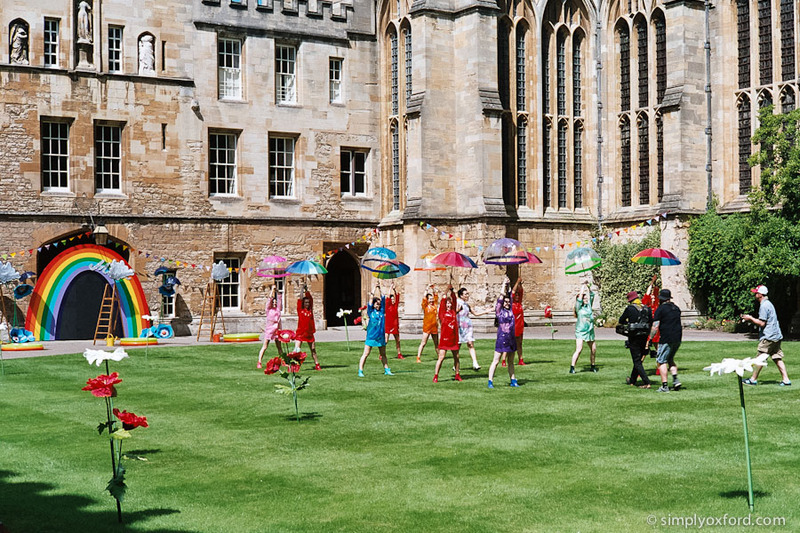 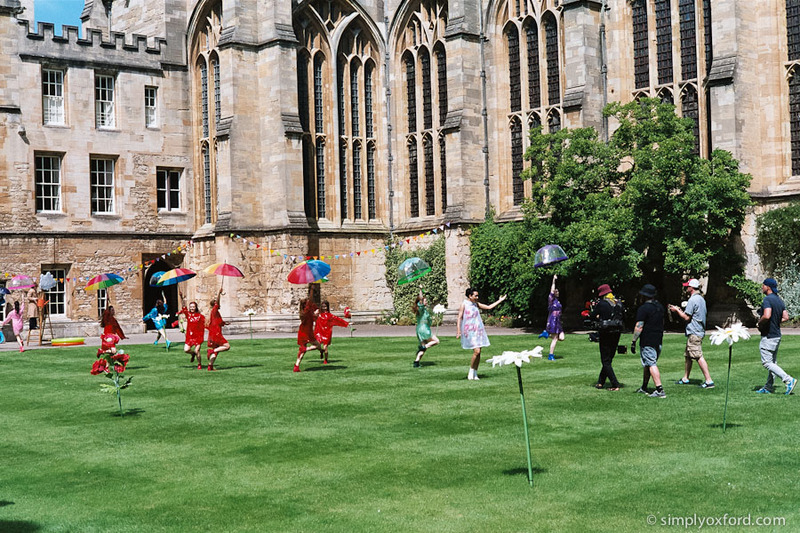 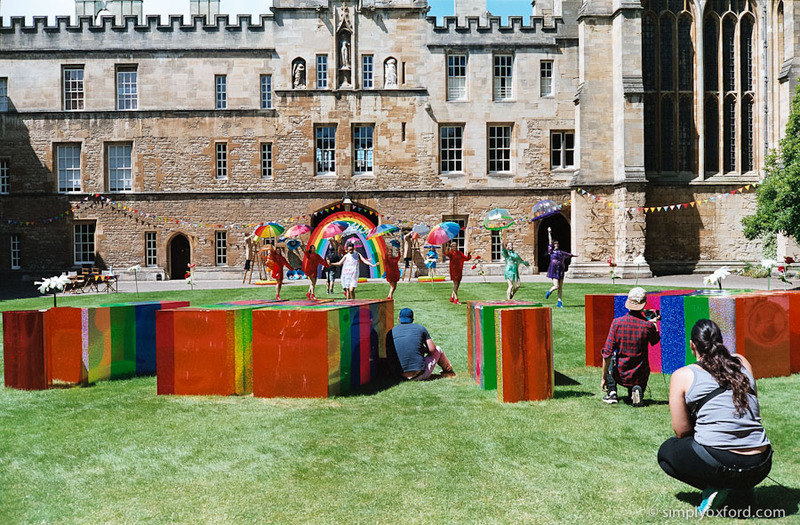 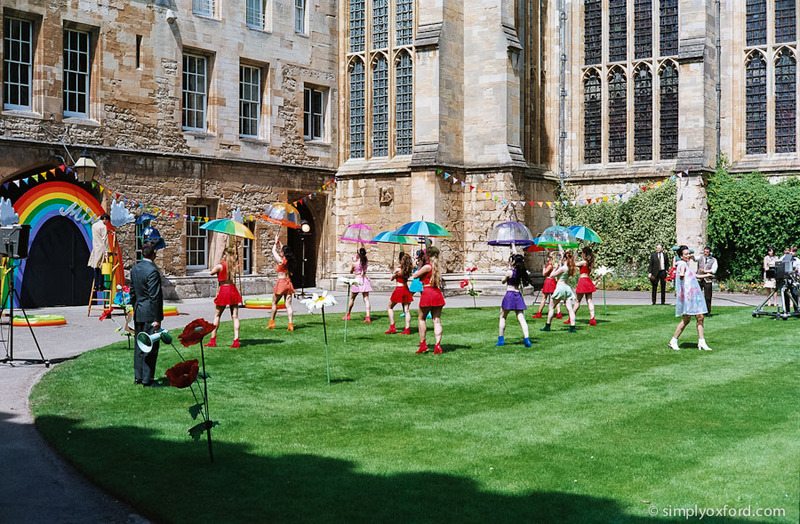 Behind the scenes photography during filming of Endeavour series 4 episode: Canticle in New College, Oxford on a blazing hot day last July. 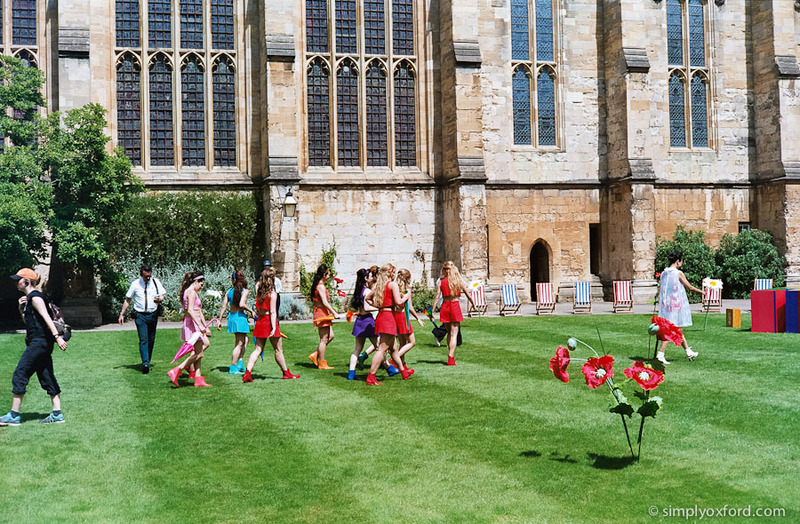 Fortunately I was in the shade most of the time but I really felt for the dancers in their rain mac’s and welly boots. 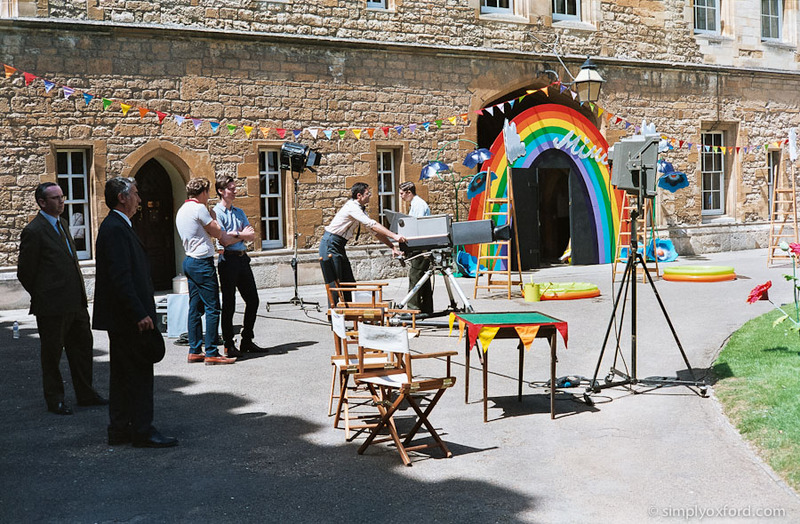 I’ve tried to show some different angles of the set that weren’t seen in the final edit because a huge amount of work had gone into it. 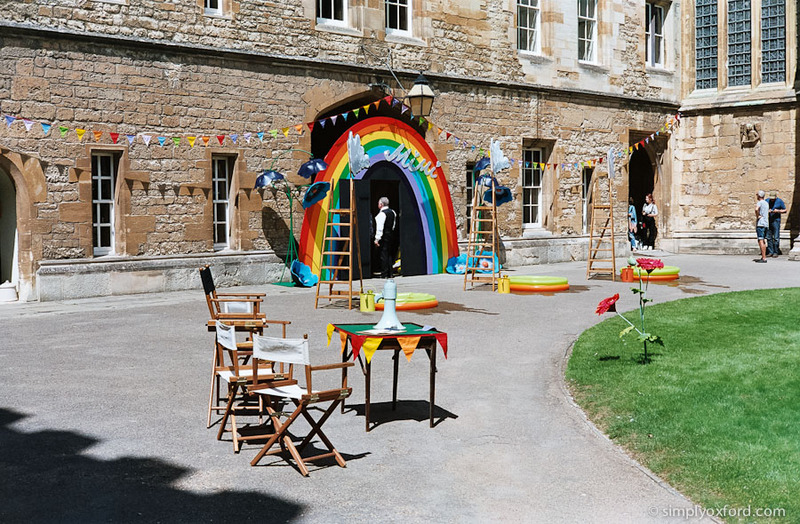 The colours in these pictures are very different to the previous post because I used a different film, in this case Fuji Reala 100 which is one of my favourites for sunny weather photography but sadly it’s not made any more. 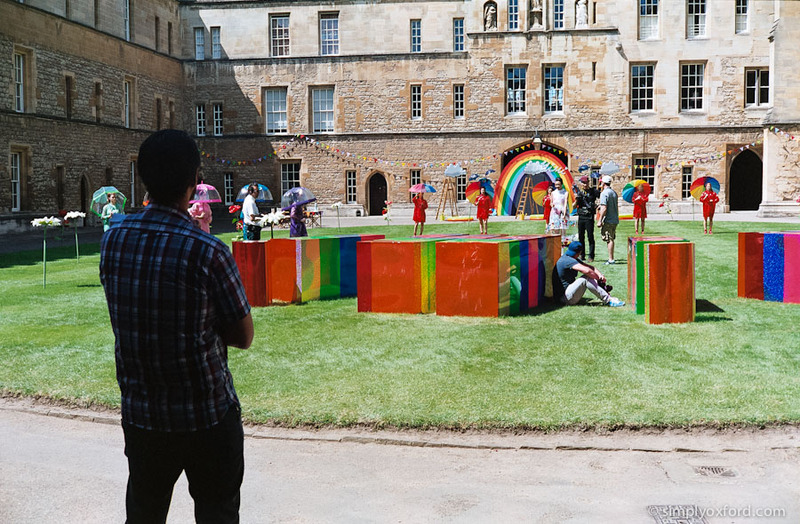 [Tech info:] Yashica Electro 35, Fuji Reala 100 film, developed in Fuji Xpress C41 kit, Pakon scans.